Entering the crowded field of Berlin burger establishments is the much anticipated (after taking so long to open) Tommi’s Burger Joint. Upon entering the self-service restaurant one immediately notices the eclectic aged look and feel of the place that would only be fitting in Berlin. While not likely to crack many top Berlin burger lists, Tommi’s is a welcomed alternative to the near by thaw and grill patties of Rosenburger. The menu is simple with your standard burger, fries and a few drinks as well as a couple other options such a milkshake (no need to queue Kelis… okay just for fun maybe there is). 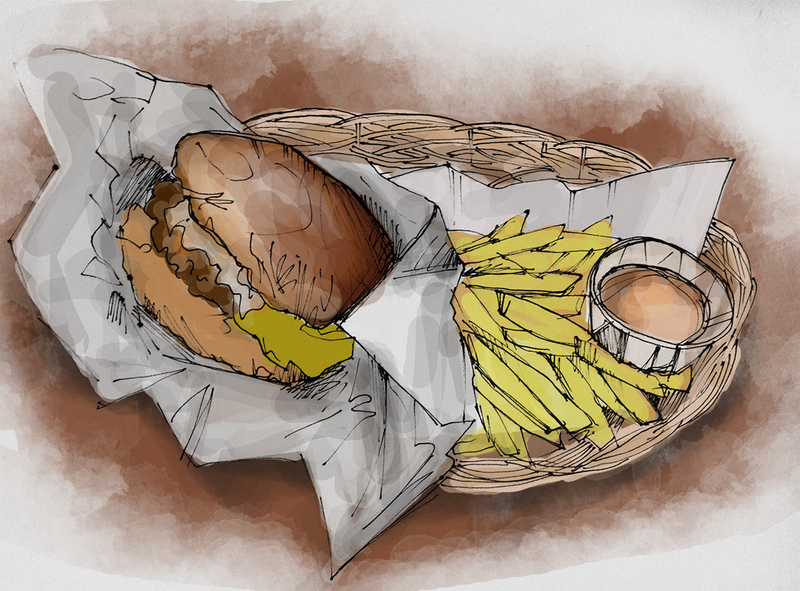 Although hand-cut fries are preferred, the fast-food-style fries are a nice touch and accent the branding of the restaurant along with the parchment paper wrapped burger served in a basket. Speaking of the burger, time to get to the important part! The brioche bun that it is served on is very hit or miss depending on your tastes. Typically, a more hearty bun is welcomed. The patty itself was fairly good and cooked to the right tenderness and is made in a reasonable 150g size. All in all, Tommi’s is a nice addition to the Mitte burger scene, but is unlikely to blow anyone away. If you’re willing to pay a bit more for your standard lunchtime meal – a menu with a cheeseburger, fries and drink will run you nearly 10 EUR – it’s a solid option.